We’ve got one more merch reveal! Nep Pixel shirts featuring all your favorite goddesses in pixel form! 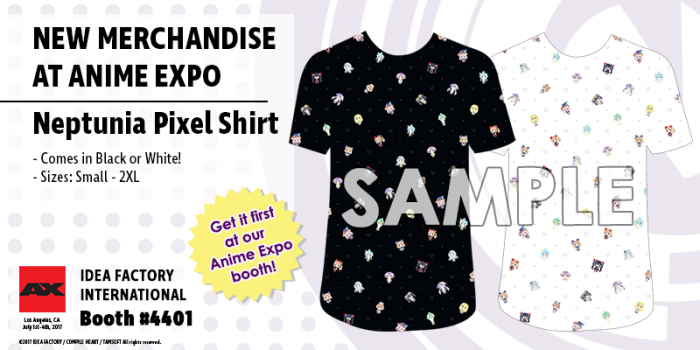 Get yours first at Anime Expo® booth #4401 this weekend!